to place your wholesale or food service order. 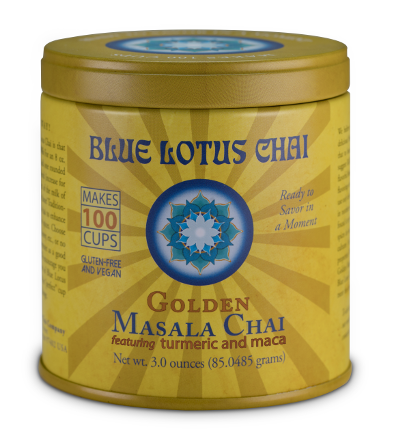 Our Golden Masala Chai TINS are our newest vareity! For more information on this popular SKU, click here! 6 half oz. 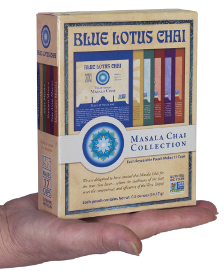 pouches that make 102 servings: 1 for each of our 6 varieties of chai! A great SKU to keep on hand throughout the year, but a must-have during the holiday giving season. For more information on this popular SKU, email us at info@bluelotuschai.com or call us at 541-683-6391!